As winter takes a sharp turn and brings with it sub zero temperatures, anything that lets us keep our hands warm in the cold is a Godsend. Gloves are good, but sometimes they just don’t do. 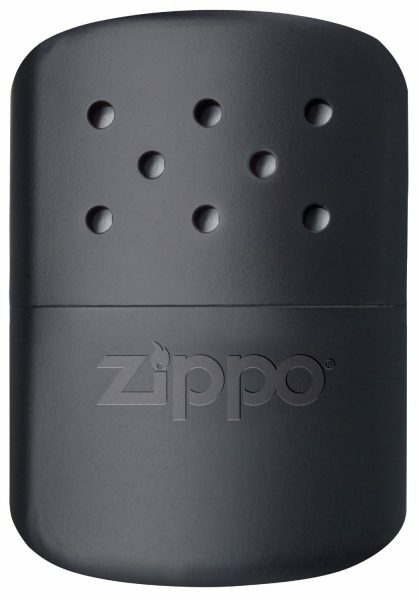 It is for times like these, you need the Zippo Hand Warmer. While the name is descriptive enough, it is hard to describe it in terms of how it works. In a way, it is like any other Zippo lighter, apart from the fact that the flame burns on the inside, giving you heat. To make it work, you do need to add lighter fluid to it, and sadly (due to regulations and laws) the hand warmer is not supplied with it. However, lighter fluid for this is easily available, and can be ordered via Amazon or bought from most retailers. A set of instructions comes with the device, and it tells you to fill it to a certain level, light the catalytic burner unit, and give it a few moments before it warms up. Interestingly, and conveniently, all the spares are available easily. Filling is easy with the provided cup, and the warming bag helps when you hold it. Once filled to the appropriate level, you have to light it, which means you will need something else, like a lighter or a match on you. On a day like today (lows of -1, highs of 4) it was definitely a godsend. Whether you are into camping, or are stuck outdoors for any reason, this is an ideal item to have. In fact, one should keep it in an emergency box, next to rations and torches and first aid boxes, for it may be the difference between you feeling okay and catching a nasty cold! Sadly, there isn’t much to add to this, not because it doesn’t offer much more, but because it has a particular purpose, and it does what it says on the tin. Only thing I may have a concern about is the need for another item to light this. It comes in 12 hour and 6 hour flavours, and they cost £22.90 and £20 respectively. They can also be bought from Amazon. A must have for anybody who likes to spend time outdoors, be it gardening or camping, or just general adventures!